In Hollywood, there are three types of Southern accents: the ones that assume everyone down South sounds the same, the over-the-top caricatures (Good afternoon, Mr. Cage), and the rarely achieved accurate depiction of a distinct regional dialect. 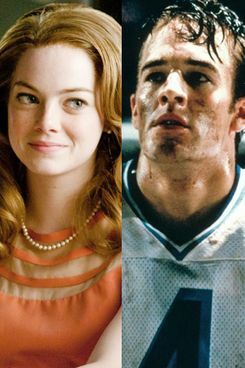 In The Help, out tomorrow, Emma Stone joins the club of actors who’ve pulled a generic “Southern accent” straight off a Wal-Mart shelf. In the movie, she plays a scrappy journalist in mid-century Jackson, Mississippi, and she worked endlessly with a dialect coach to get the speech down, studying recordings of the town’s residents. How did she do? Luckily, this country is still inhabited by some authentic speakers of regional dialects who can show the great city of celebrated hegemony how it should be done. We’ve taken videos of some of those real talkers and paired them with the people, like Stone, who are trying to sound like them, so you can hear the difference. Please, Mr. Cage, pay close attention.